There are no reviews for Kilt by Death yet. You can write one. 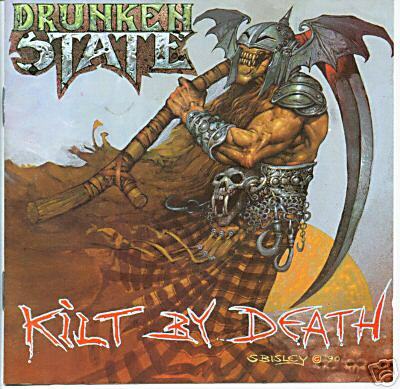 The cover was designed and painted especially for Drunken State by artist Simon Bisley, although the original logo was designed by a friend of the band Martin.